Desmen Boykin is an 8th grader at Graham Park Middle School in Triangle, Virginia. He participated in the Go For Launch! program in 2017, which includes a competition to design a space experiment. His team, Operation Galaxy X, won with an idea to study the life cycle of mealworms in space. 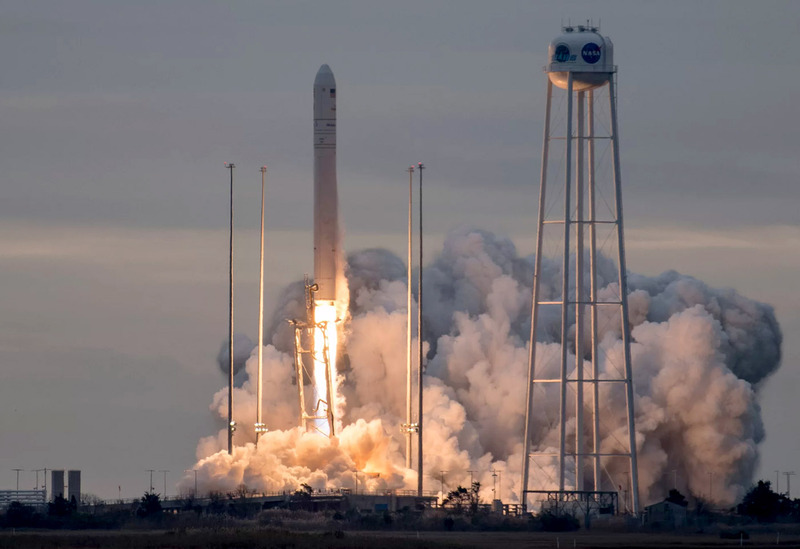 The team coordinated with Higher Orbits and Space Tango to turn the design into a real flight experiment, which launched to the International Space Station in 2017. Designing the experiment was exciting, but the truly transformational experience for Boykin was getting to attend the rocket launch. On that Sunday morning of November 12, 2017, at 7:14 am, the Antares rocket took off into the sky. Although it took a moment for the sound to reach us, I could soon feel the ground rumbling beneath my feet, and then vibration could be felt throughout my whole body. It seemed as if the rocket was flying toward me at an angle and I needed to lean backwards just to view the rocket as it flew off into the clouds. The OA-8 resupply mission launched to the International Space Station in November 2017. 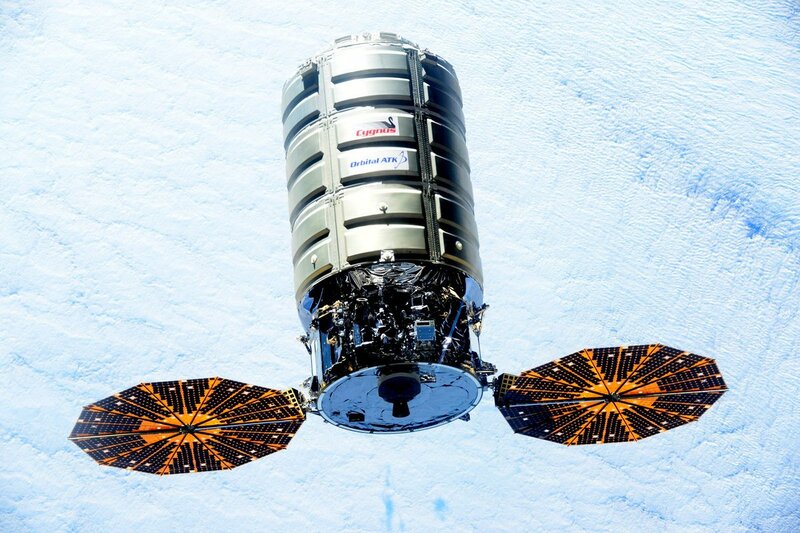 The Cygnus capsule atop the Antares rocket carried 7,400 pounds of cargo including the experiment designed by Desmen’s team. 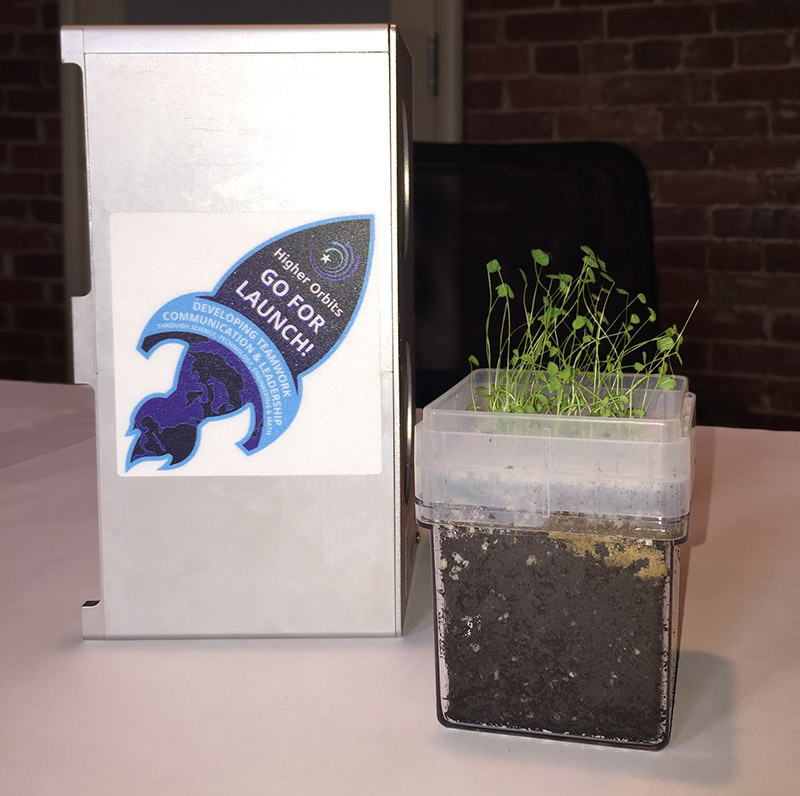 In 2017, my team and I participated in the Higher Orbits’ Go For Launch! program and were selected to have our science experiment launched to the International Space Station. We were excited to be invited to attend the OA-8 launch on Wallops Island. At Wallops Island, Desmen and retired NASA astronaut Frank Culbertson celebrate the successful OA-8 launch. When I saw the Antares rocket launch into space, something else changed in me, and the beginning of a love for rocketry was ignited. Soon after, I begin to build my own rockets from homemade craft materials. At first, I made small rockets out of vinegar and baking soda also known as “bottle rockets.” During this stage, I did quite a bit of researching and experimenting with different lengths of the bottles and different amounts of baking soda and vinegar. 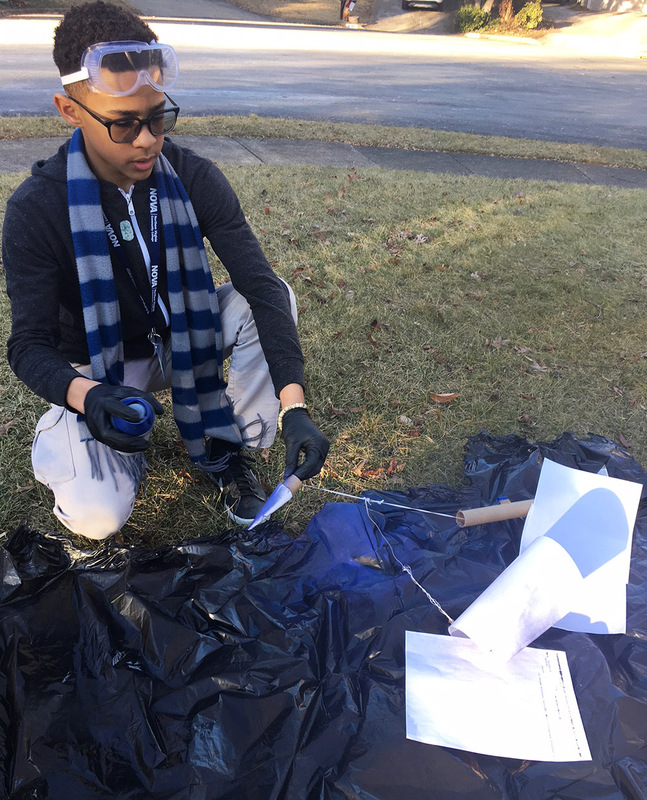 Although I continued to build the body of the rocket from homemade materials, I advanced to making visco fuse rockets out of aluminum foil, wooden skewers, and the kind of fuses used in fireworks. Although the rockets would launch successfully, they went only about 20-50 feet. I wanted my rocket to go higher. Desmen prepares to attach a parachute and nose cone to one of his model rockets. I first experimented with different types of rocket structures, different fuse lengths, different engines, and different sizes of the body tube. Although I was unsuccessful in building a rocket that launched as high as I wanted, with each change I made, the rocket’s performance improved greatly. Through experimentation, I was able to learn the exact amounts and arrangements of materials needed to launch a visco fuse rocket. 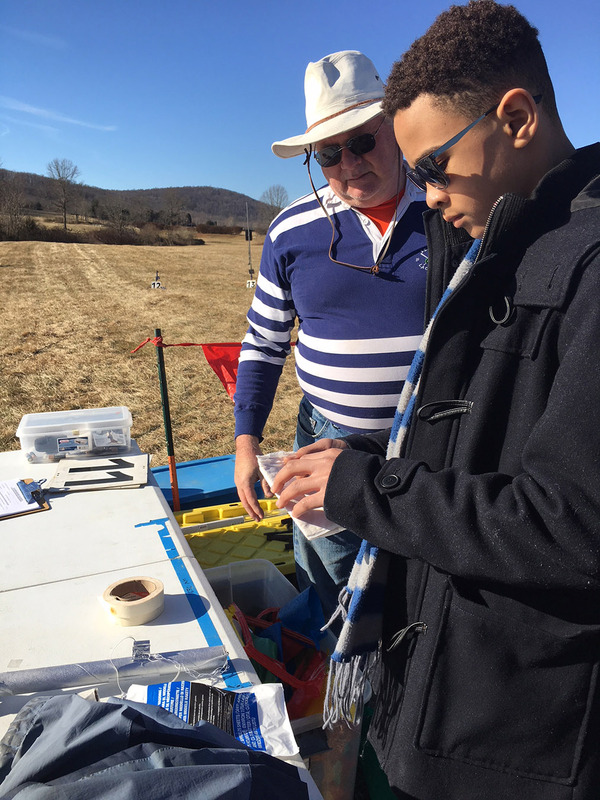 After I was satisfied with my improvements, I contacted the Northern Virginian Association of Rocketry (NOVAAR), which instructed me on launch safety, state and local rules, and the dimensions necessary for a launch site in Virginia. Through NOVAAR, I was able to launch rockets to heights of 1,000 feet at Great Meadow Park. I now make rockets from wrapping paper tubes, paper nose cones, and old gift cards for wings. I used ESTES rocket engines and a launch pad to ensure that the rocket flies straight up and doesn’t stray off its path. 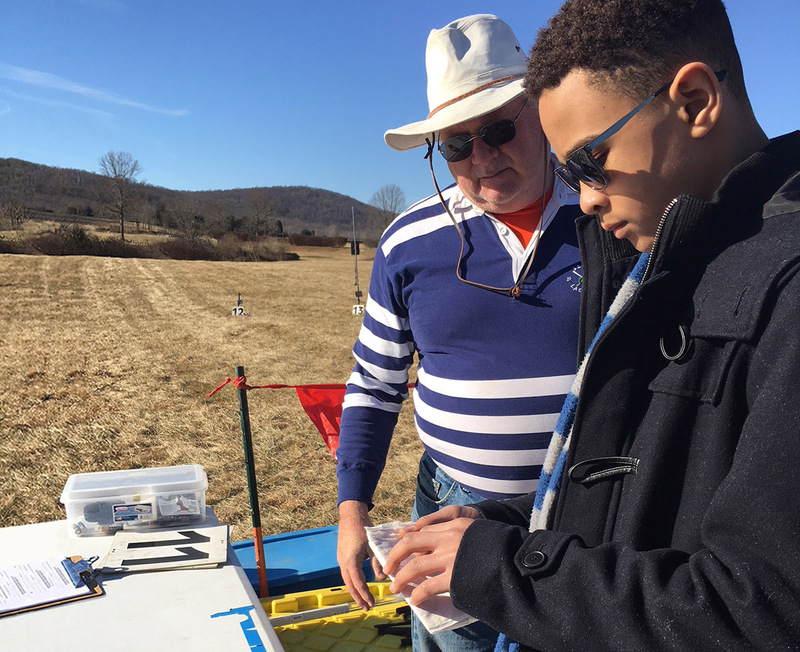 Desmen assembles a model rocket powered by an ESTES engine with a member of Northern Virginian Association of Rocketry (NOVAAR) looking on. After I learned how to properly build and launch model rockets, I invited several friends over from my class to launch a rocket at the local park. Later, I also built a very special rocket for my father that I launch for him on Father’s Day. And, although this particular rocket was smaller than other previously made rockets, it had the best aerodynamic design that I had made to date. Near the end of the summer, I wanted to share my love of rocketry with younger children, so I held a class to build rockets and explain safety procedures necessary to produce a successful and safe launch. It is now the beginning of a new school year. I am hoping to inspire other students to pursue future careers in rocketry and aerospace engineering. 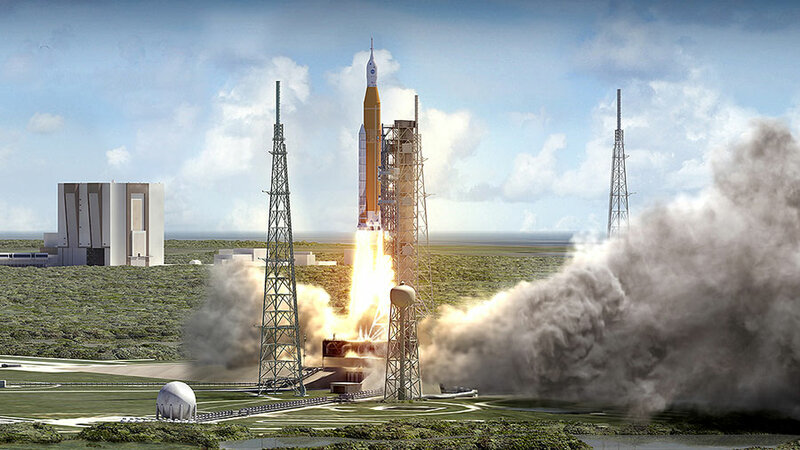 In a few years we could be building rockets to carry astronauts to the ISS and beyond. 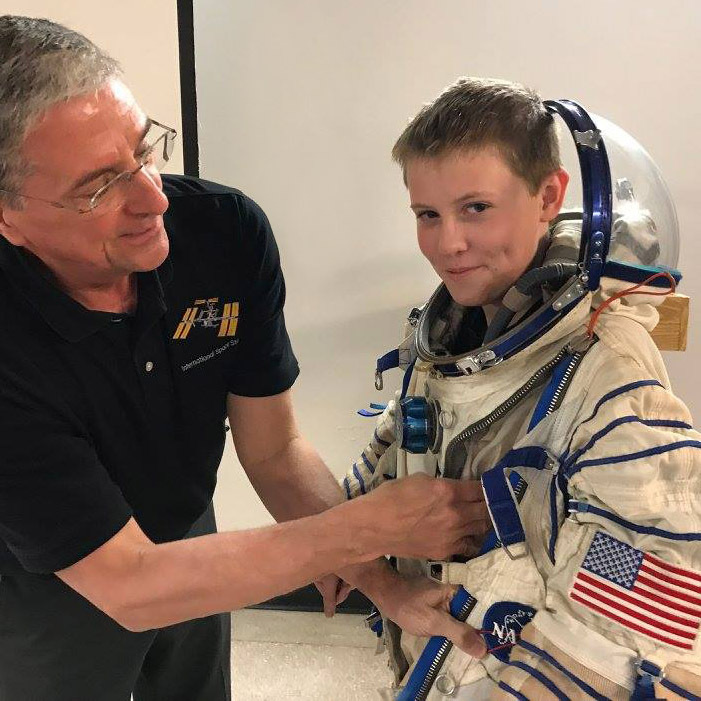 Find out more about Desmen’s team, the Saguaro Snakes, and the experiment they sent to the ISS! Build teamwork and leadership skills while competing for the opportunity to send your experiment to space! Teach Newton’s Laws of Motion to students in grades 3-8 by constructing and launching water rockets. 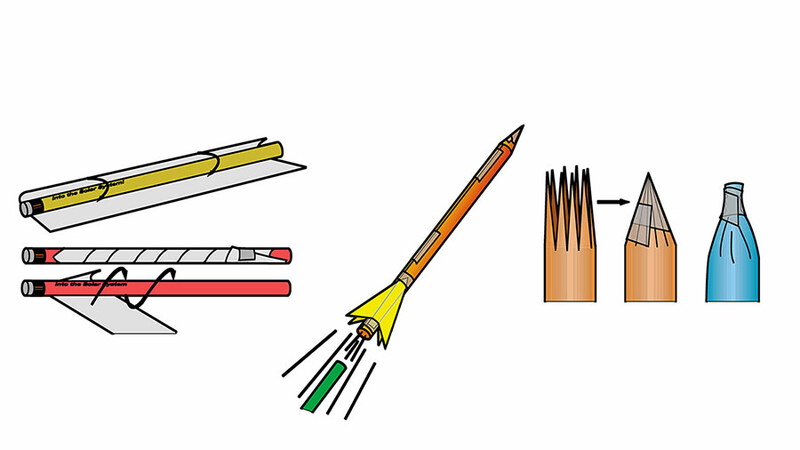 Learn about rocket stability by constructing small “indoor” paper rockets, checking their flight stability, then launching them. This video by SpaceFlight Insider shows highlights from the launch of Orbital ATK’s CRS-8 mission to the International Space Station. Summarizes the ISS National Lab sponsored investigations that were part of the Orbital ATK CRS-8 mission in November 2017. 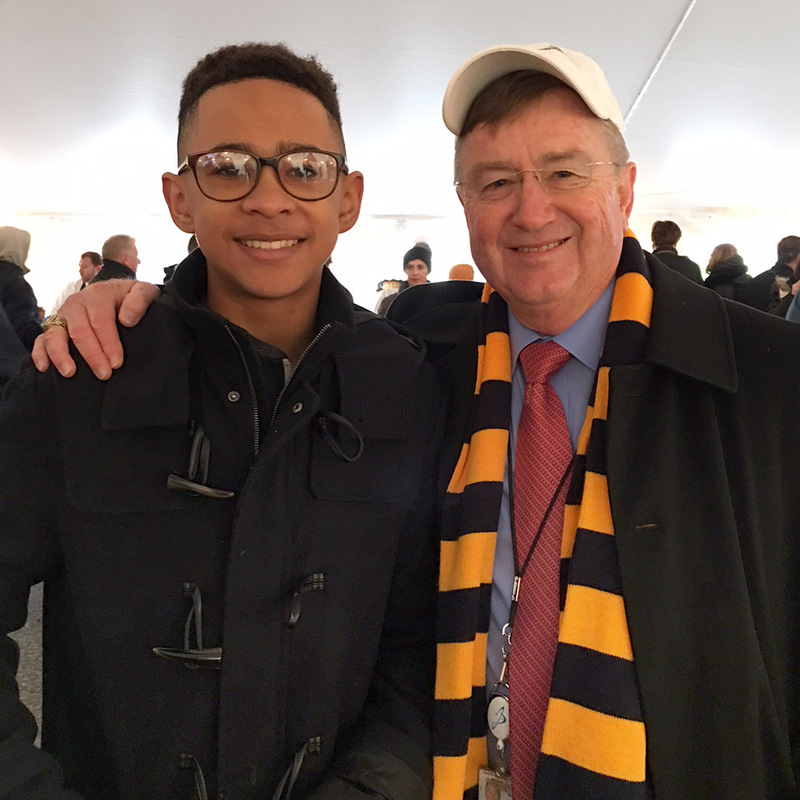 Desmen Boykin, a middle school student in Virginia, participated in Higher Orbits’ Go For Launch! program. His team won the regional challenge in 2017.